I happened by Egan’s and they mentioned they had a “good number of reservations” for tomorrow night’s show. So if you’re planning on attending, please call ahead to reserve your table (206-789-1621 or reservations@ballardjamhouse.com). We’re looking forward to seeing you there! This entry was posted in Performances on April 22, 2011 by Sunrise Pixels. This next weekend I’ll be playing a lovely show at Egan’s with a rare reunion of my quintet featuring trumpeter Jim Knodle and James DeJoie on alto sax, backed by myself, Walter White & Jim Parsons. 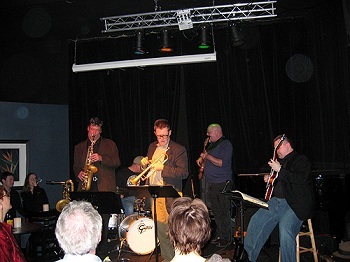 The last performance of the Rik Wright Quintet was in August 2008. I then took a year off and have since been concentrating on my groups Zen Tornado and Fundamental Forces. But recently I’ve been writing some compositions that are really best realized in a quintet setting, and so I put this show together. Our set for the evening contains four originals written with unique harmonies between the trumpet, sax and guitar. We’ll also be playing tunes by Tom Waits, Elvis Costello and Ornette Coleman. For those of you who have been waiting for a quintet show to roll around (I know who you are), this is the only one I have planned for this year, as well as the most “traditional” jazz show I’ve done in recent memory. So come on out to Egan’s Saturday and have a cocktail, or dinner, and see the show. 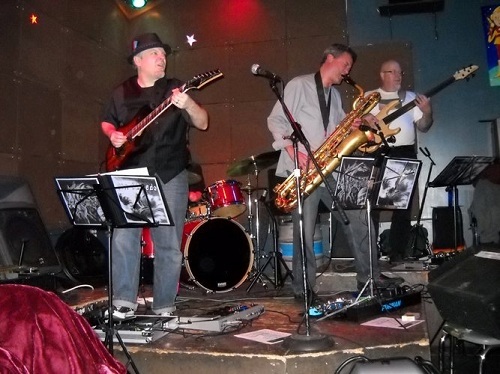 RESERVATIONS HIGHLY RECOMMENDED – my last show we at Egan’s was a full house. For reservations, call 206-789-1621(after 6pm Tue-Sat) or email reservations@ballardjamhouse.com. We usually reserve approximately 40 seats in the room prior to the show, with the remaining seats available on a “first come, first served” basis at show time. In other news, I’ve recently recruited like-minded guitarists Dennis Rea and Jason Goessl to curate a new concert series with me at Seattle’s venerable Mars Bar. It’s called Zero-G and it’s happening on the third Thursday of each month. 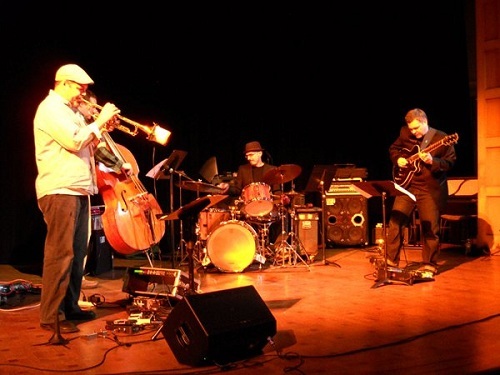 Each performance will feature avant jazz, prog rock, and other weird sonic species. 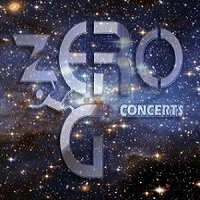 For more information check out the Zero-G blog at http://www.zerogconcerts.com. This month’s line-up features Tempered Steel, Vance Galloway, NoisePoetNobody and Special O.P.S. 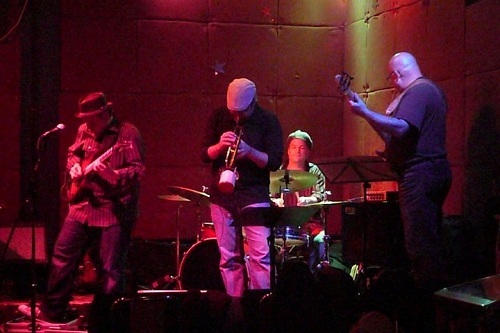 Next month, Zen tornado will be performing with the Tom Baker Quartet and The Luna Moth. Anything else? Oh yeah, I shaved that scraggly thing off my face! So I’ll see you Saturday to celebrate Spring, right? Right? Spring… in Seattle? That’s still happening, right? 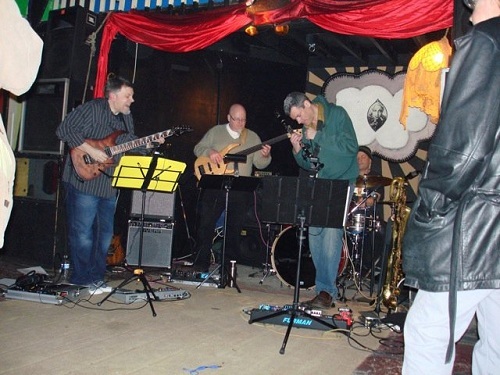 This entry was posted in Performances on April 17, 2011 by Sunrise Pixels. This entry was posted in Photos on April 3, 2011 by Sunrise Pixels.